We had a very long transit in the first part of Expedition 372 from Fremantle, Australia to the east coast of New Zealand. As I’m sure you’ve noticed throughout these blog posts, I’m a very curious person. In addition to being curious about nautical flags, navigation and drilling, I also got curious about how the JR actually is propelled through the water. I wanted to know what makes it go! 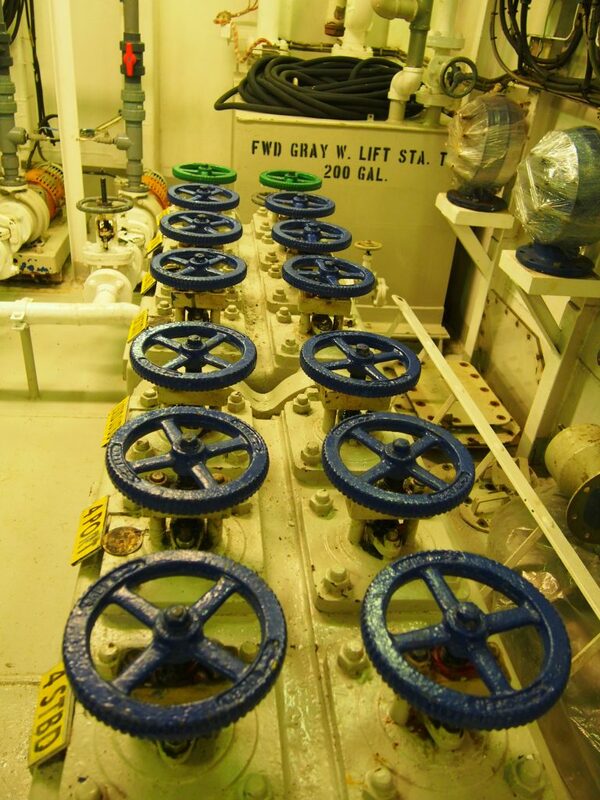 How has technology changed ship propulsion? The JOIDES Resolution is an old (~40 years old) ship and although many improvements have been made over the years, the propulsion concept and equipment have remained as they were originally designed and built. 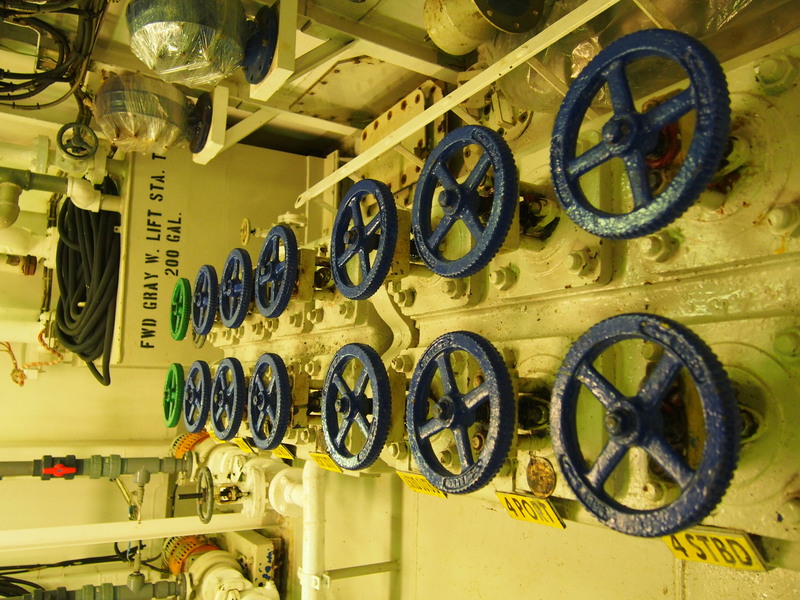 The main propulsion shafts (one on each of the port and starboard sides) are turned by 6 DC electric motors on each shaft. Typical “THYRIG” electrical power conversion device. Converts high voltage AC power to DC for running the DC motors. These DC motors can power the propulsion shafts and thrusters and allow them to run at variable speeds. 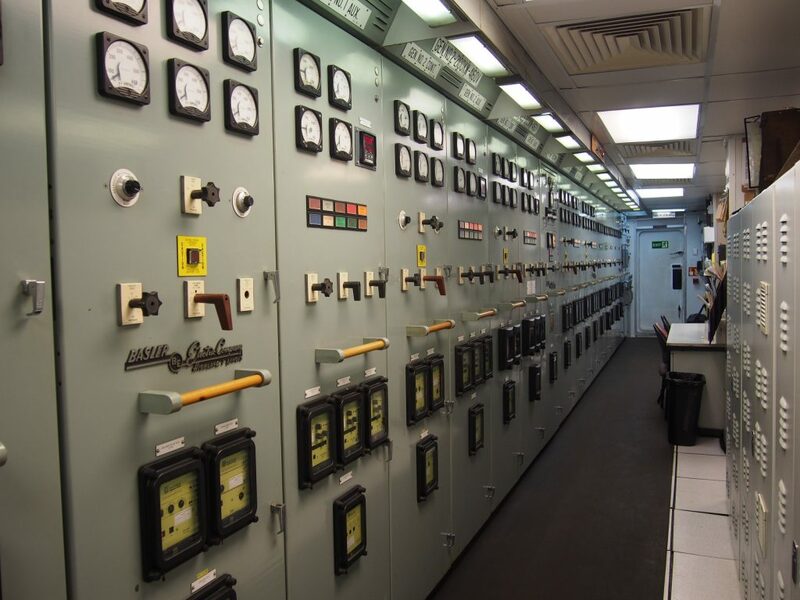 Besides propulsion, what other systems are controlled or monitored in the engine control room? 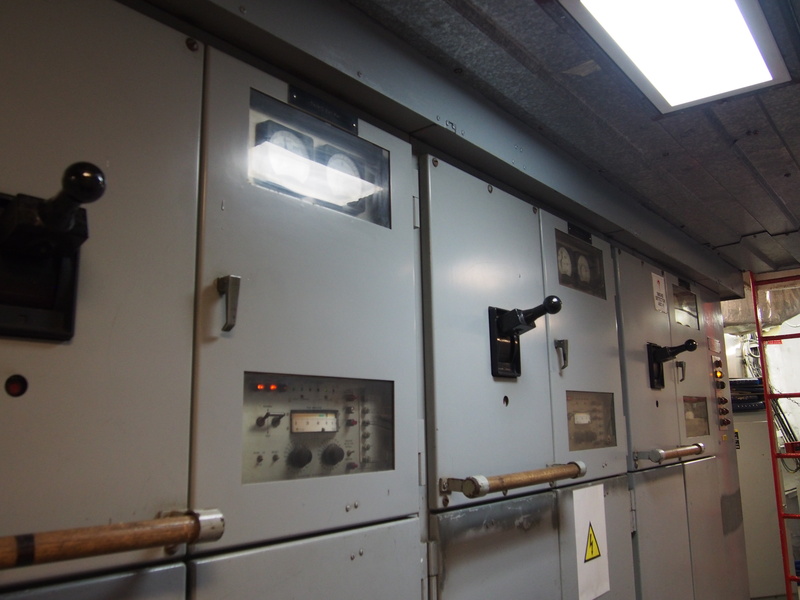 The Engine Department keeps watch in the engine control room (ECR) or aft machinery spaces 24 hour a day/7 days a week. Personnel keeping watch include a duty engineer and an unlicensed member of the engine department called an oiler or motorman. 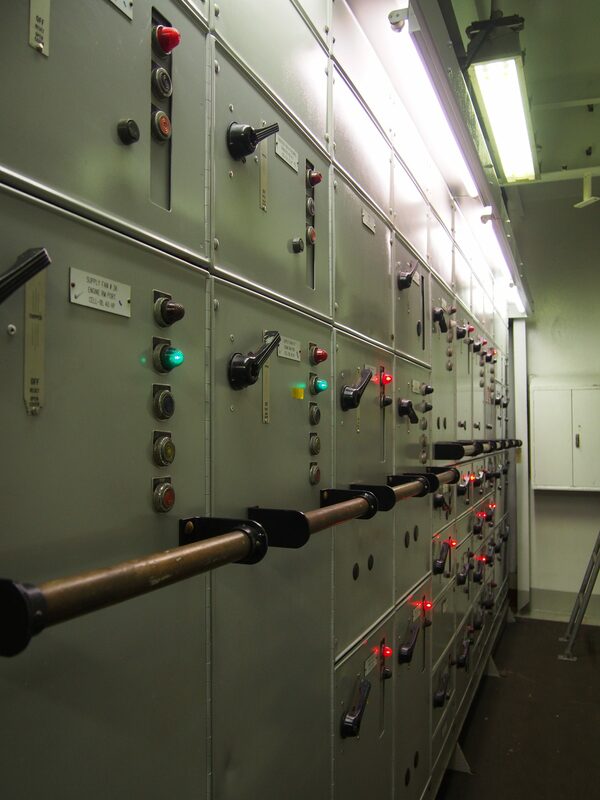 They are responsible for transferring or processing the fuel burned in the diesel generator sets. 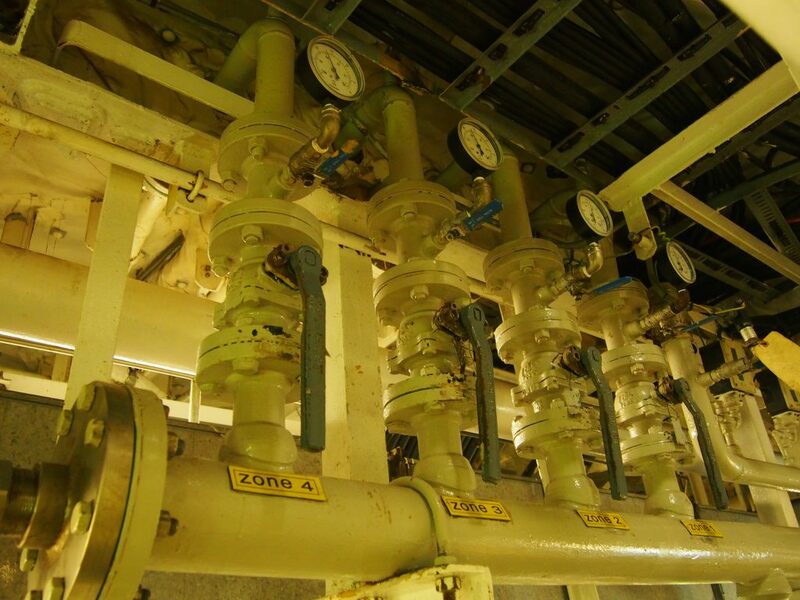 They start and stop various pieces of machinery such as the water makers, lube oil pumps, and ventilation systems in order to ensure all systems are working properly. At all times, a centralized monitoring, alarm, and control system is used to keep an eye on the operational status of machinery systems and alarm conditions.